Paul Lazarsfeld was known as a methodologist and the Office of Radio Research/Bureau of Applied Social Research used or played a part in developing several new methods for studying mass media. Below is more information on those mentioned in Out of the Question or elsewhere on this website. Content analysis is a systematic method for reading, categorizing elements of, and analyzing some text. The term “content analysis” seems to have been coined by the University of Chicago’s Bernard Berelson and Douglas Waples around 1940, though sociologists and political scientists had done systematic studies of newspaper content for at least three decades before. As it developed in the 1930s and during World War II, it was a method for analyzing propaganda, which might aid critics, social scientists, and producers alike. It involved a trained researcher undertaking a careful reading of a text, searching for particular themes, linkages, phrases, or particular words, and then subjecting them to qualitative or quantitative analysis. Though originally designed for print, it came to be applied to radio, motion pictures, and other communications media as well. In the film, Joan Goldhamer recalls doing content analyses of popular magazine fiction and discovering the villains were often ethnic minorities. When testing propaganda and morale programs during World War II, researchers would give the film or broadcast a content analysis before bringing in test audiences, who were then asked questions about how they responded—the origins of what today is known as the focus group. Content analysis fed interview guides and helped researchers determine whether government-sponsored communications were having their intended effects on target audiences during the war. Thelma McCormack. “Content Analysis: The Social History of a Method,” Studies in Communication 2 (1982), 143-178. Paul Lazarsfeld and Frank Stanton developed the Program Analyzer as a way to record viewer reactions as they were happening. Lazarsfeld first experimented with recording reactions in real time back in Vienna. Stanton, as head of audience research for CBS, had created a machine for recording the size of radio audiences. During a conversation together in the late 1930s Lazarsfeld and Stanton swapped stories and decided to pursue inventing a mechanical recording device for gauging audience reactions. Although it went through several versions, the final one accommodated twelve people, each of whom was placed in front of two buttons, a green and a red one. They were instructed to push the green button for positive reactions and the red for negative reactions. Each button was connected to a pen which marked the reactions on recording paper, which flowed in time with the program. The unwieldy machine sometimes gave an electrical shock to those who operated it but allowed researchers to determine what specific moment in a program listeners liked or disliked. With that information in hand, researchers would then follow up with focused interview questions to probe more deeply. This was the origin of the focused group interview, which would diffuse from social science into advertising and become known as the focus group. The Program Analyzer was put to use at CBS (where it was known as the Stanton-Lazarsfeld Program Analyzer, and by Lazarsfeld’s Office of Radio Research (ORR). Critical theorist Theodor Adorno’s disgust for the Analyzer in 1939 fueled his disgust for Lazarsfeld’s ORR. In the summer of 1942 the ORR shipped an Analyzer to U.S. Army bases, where Robert K. Merton and stenographic assistants were conducting tests for the Office of War Information (OWI), whose Hollywood-produced “Why We Fight” series (directed by Frank Capra) presented a rousing case for American involvement. After the war, the advertising giant McCann-Erickson bought exclusive commercial rights to the machine, where it was enthusiastically supported by former ORR associate Herta Herzog, who had been hired into McCann’s research department (and who sent machines to South America and London). By 1954, fifteen different variations on the Analyzer were in use. Mark Levy, “The Lazarsfeld-Stanton Program Analyzer: An Historical Note,” Journal of Communication 32.4 (1982), 30-38. In-depth (or focused) interviewing was a method developed at the Office of Radio Research as a way to probe the subjective experiences of audience members exposed to a particular text, campaign, or event. It grew from a collaboration between Herta Herzog and Princeton psychologist Hadley Cantril. She had been asking questions of radio listeners since the early 1930s when she was a graduate student in Vienna busy writing one of the earliest dissertations on radio listening. In November of 1938, she sought out listeners who had been set into a panic by Orson Wells’ famous War of the Worlds broadcast and asked open-ended questions that helped establish the research plan for a classic audience study, The Invasion from Mars. Afterwards, Herzog would cultivate the technique further in pioneering studies of women who listened to soap operas as well as in war-related work. Robert Merton also used the technique during the war and codified the method in a 1945 article co-written with Patricia Kendall. In-depth, qualitative interviewing required highly skilled interviewers who could put respondents at ease, make decisions on the fly, and sensitively probe deeper. It was far more complicated than a simple multiple-choice survey interview and so the people who conducted them—usually women at the ORR—needed to be both trained and talented. The method proved useful as a way to probe how test or real-life audiences responded to programs and campaigns, how particular elements of them might have generated “boomerang effects,” and what meanings and “gratifications” radio listeners found in particular programs. Herta Herzog helped transplant the method into the advertising industry when she took a job in 1943 at the McCann Erickson agency and became a director of research. It was a method that could be practiced one-on-one (as in the Kate Smith study, which Joan Goldhamer describes in the film) or in groups—where it was often used in conjunction with the Lazarsfeld-Stanton Program Analyzer. The group form of the interview would later become known as the “focus group,” which in the 1970s and ‘80s became a popular method for marketing research on consumers and political campaigns. Susan J. Douglas, Listening In (University of Minnesota Press, 2004). Pgs 102, 130, 137, 139-141, 144-48, 165. Robert K. Merton, “The Focussed Interview and Focus Groups: Continuities and Discontinuities,” Public Opinion Quarterly 51 (1987), 550-566. Robert K. Merton and Patricia L. Kendall. “The Focused Interview,” American Journal of Sociology 51 (1946), 541-557. David Morrison, The Search for a Method: Focus Groups and the Development of Mass Communication Research (University of Luton Press, 1998). The panel was a method developed in the 1930s that involved repeated interviews conducted of the same individuals over time. Paul Lazarsfeld and his colleagues used and refined the method in marketing and media research in the 1930s and ‘40s, and he and Marjorie Fiske introduced it to public opinion researchers in a 1938 article. Working with a smaller sample of people than public opinion polls typically did, the panel was an economically favorable alternative that also gave investigators a richer array of information, including how opinions might change over time. Lazarsfeld and his women interviewers had used it in a study conducted for Woman’s Home Companion magazine launched in late 1935, and continuing over several years. Six interviewers recruited 250 women (which would grow to 1,500), whom they spoke with about the magazine and the women’s lives and opinions. 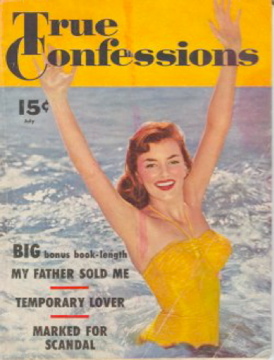 The magazine made adjustments to its content as a result, and cultivated a relationship with the 1,500 “Reader-Editors” who made up the panel. The method was also utilized in the 1930s by the National Board of Motion Picture Review, which enlisted 250 volunteers (most of them women) to make recommendations for those films most suitable for children under 12. The Office of Radio Research also used it as a tool for studying the effectiveness of propaganda and promotional campaigns, and made it a central part of their classic 1940 and ’48 election studies, where they tracked voters’ opinions over time. In comparison to focused interviews, panel studies tended to rely more on survey-type questions, though open-ended queries also found a place in them. Paul F. Lazarsfeld and Marjorie Fiske, “The ‘Panel’ as a New Tool for Measuring Opinion,” Public Opinion Quarterly 2 (1938) 596-612. Paul F. Lazarsfeld, “‘Panel’ Studies,” Public Opinion Quarterly 4 (1940) 122-28.